I love Indian flavors, but I don’t always have the time, or the foresight, to marinade a bag of chicken for a day or two during the week. Some nights I need curry, and I need it fast. This recipe is perfect because it take about five minutes to prep but yields chicken that tastes like it has been soaking up curry marinade all day. 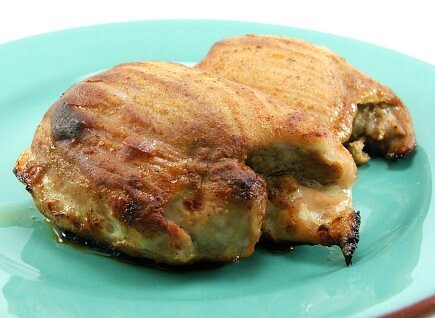 I use boneless, skinless chicken thighs because they stay moist after being roasted in a very hot oven. Also, they are pretty healthy, which is a consideration for an everyday kind of meal. I serve this with rice and some cucumber riata or mango chutney. The curry crust gets a flavor boost from spicy mustard which makes the chicken taste like it has marinated far longer than the five minutes it will get. 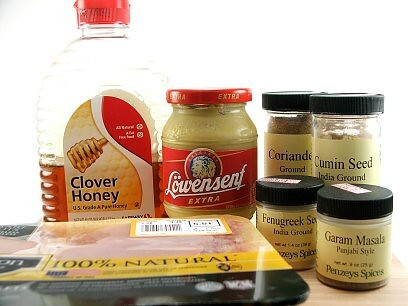 It also gets a kick in the caramalization department with the addition of honey which helps make the crust on the chicken. 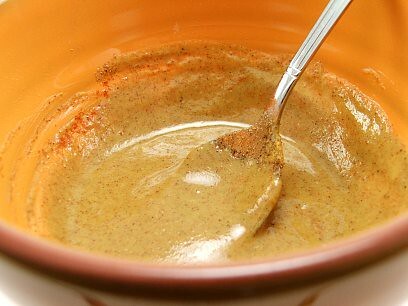 You can use whatever curry blend you like for this. I made it this time with garam masala , but have used vindaloo and tandoori with great success. Heat the oven to 375F, and cover a baking sheet with foil, then spray with non-stick cooking spray. 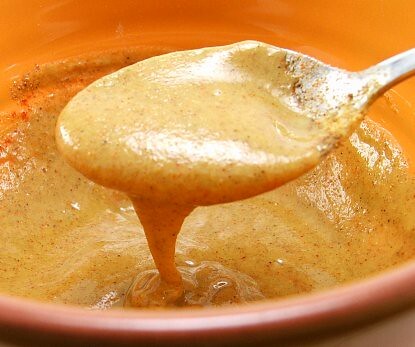 Mix the mustard, honey, and spices in a bowl until well combined. It should be thick but easy to spread. 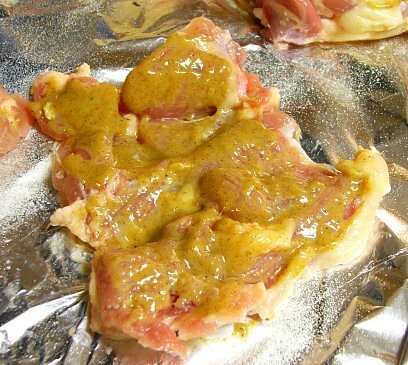 Remove the chicken from the package and coat the inside of the thigh with curry paste. 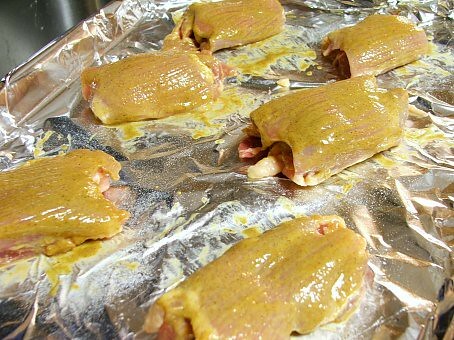 Roll the chicken thighs so the smooth side faces up and brush the remaining curry sauce on the top. Let the chicken sit for five minutes then roast for 45 to 50 minutes, or until a thermometer reads 165F.